Italian bassist Lorenzo Feliciati is better known in European modern Jazz circles than in America and elsewhere. His previous solo albums include, Upon My Head from 2003 and Live at European Bass Day and More from 2006. More recently, he collaborated with English keyboardist Roy Powell, trumpeter Cuong Vu (who has worked with The Pat Metheny Group) and drummer Pat Mastelotto (King Crimson’s drummer in line-ups 5 through 7 and ProjeKcts) under the moniker of Naked Truth with a strong and intriguing album entitled Shizaru also on the RareNoiseRecords label. Shizaru was crafted around no single voice—more like a musical conversation built around varying moods. 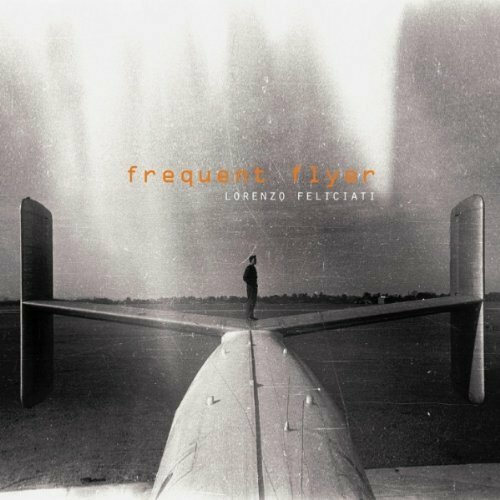 For Frequent Flyer, Feliciati has not strayed from that concept, adding an even more diverse set of collaborators (many of whom are from the Italian Progressive Rock and Jazz scene). This is an album that blurs genres of Rock, Fusion, Funk, Jazz and includes the edges of Latin and Afro-Cuban sounds. Comparisons of Feliciati’s work have been made to bassists such as Jaco Pastorius and Percy Jones, but technically and stylistically, my vote is for Jeff Berlin (with some influences of Miroslav Vitous). The subtitle of Frequent Flyer also reveals, I think, something more about the background of the music: Diary of a Traveling Musician, not only documenting the quotidian aspects of diaries, but perhaps disclosing thoughts and desires related to the foundations the work. Musically, Frequent Flyer is as diverse as the moods one might find within a written diary. Feliciati has noted that, “I wanted to do an album with all the wonderful musicians during my traveling around for gigs, festivals and sessions.” Portions of this album had actually been recorded prior to the start of the Naked Truth project. There are many strong pieces in Frequent Flyer, some more favorable to my ears than others. Two tracks (as noted below) seem a bit underdeveloped in structure, and thus held my interest less. But as with all music, first impressions of an album are often not the lasting impressions after repeated auditions. This album has grown on me as I have listened to it in different environments (home, car or walking). What I appreciate the most is the range of explorations in addition to Feliciati’s musicianship. The Fastswing Park Rules: At first I was fooled–by the mournful saxophone opening (being reminiscent of Bill Bruford’s Earthworks’ It Needn’t End In Tears), only to be lured into a dark and industrial atmosphere of expansive saxophone, bass and percussion improvisation. Groove First: Is a very playful, funky and cheerful piece, with melodic and rhythmic shifts reminiscent of Percy Jones and Stanley Clarke and quite similar in many ways to the spirit of some of Brand X’s Moroccan Roll mixed with some Return to Forever and Weather Report. Fender Rhodes and congas provide vigorous and upbeat counterpoint throughout. 93: Is a really great and lyrical piece with dense textures and a deliberate syncopated rhythm that is reflective yet mysterious and is expansive in its arrangement (with a touch of melancholy, in instrumentation, akin to some of the work of the late Mark Linkous, AKA Sparklehorse). Riding The Orient Express: Percussion and guitar are used to represent the presence of a train and there are breaks where the bass takes the melody. This has some of the feel of Steve Hackett’s recent work in his album Out of the Tunnel’s Mouth. The development of this piece, however, seemed a bit plodding and thin–one of the weaker pieces on the album, for me. Footprints: Is a very inventive, and fun (yes, I said fun!) arrangement of Wayne Shorter’s piece from the album Adam’s Apple originally by the quartet of Shorter, Hancock, Workman and Chambers. It really shows Feliciati’s quick-hands, musicianship and interpretive skills quite well. In this version, Feliciati takes the Shorter sax melody on bass and is supported by spirited Brazilian-like ensemble percussion. I found a video version of this piece—a great illustration of the spirit of this track. Never Forget: Is mysterious, edgy and atmospheric. Bass and electronics punctuate as Cuong Vu’s trumpet floats between diaphanous spirit and sinister animal. This is another great track with expansive cinematic qualities. Gabus & Ganabes: Is spunky and rhythmically driving with bass chordal and melodic drifts and violin work by Andrea Di Cesare reminiscent of Jean Luc Ponty’s mid-career works. Perceptions: Is contemplative with a piano opening similar in spirit to some of Harold Budd’s work and forms a backbone for this meditation with fluid bass improvisation and sound samples by DJ Skizo. The White Shadow story: Is funky, visual, electronic, buzzing and starts off brooding, then goes up-tempo with a ripping guitar solo. Law & Order: This track is the other weaker piece on the album (and that’s my opinion only), it’s rather plodding and a bit too methodical despite the challenging bass and organ runs, which are supported by percussion and guitar. Some might see some similarities with works of Emerson Lake and Palmer. Thela Hun Ginjeet (for those in-the-know, an anagram of Heat In The Jungle, the story of street encounters with authority): Is a driving cover from the 1981 King Crimson album Discipline. The story I’ve read is that this piece is often played by Feliciati and band mates during sound checks. I’ve always loved this KC album, and this is a great interpretation of the original with some incredible handwork by Feliciati, Gualdi and Block. Frequent Flyer is an energetic, musical and diverse album to explore. It has great dynamics and a solid sound throughout. I always enjoy being pushed into new musical territories and Lorenzo Feliciati’s travels with a talented group of musicians is a great introduction to his work and influences. Limited Edition (50 copies per edition) on-demand published with illustrated booklet, poetry & credits. Review copy is from First Edition. Spoken word recordings have existed since the advent of wax and foil cylinder recorders. In the 1920s as Jazz was developing as a musical genre, poets were exploring differing rhythms and styles in their works, breaking away from more traditional forms of meter and rhyme. These were the explorations of E. E. Cummings, T. S. Eliot, Jazz Poet Langston Hughes and others. Syncopated rhythms, phrases repeated, and with some poets, the rejection of traditional conventions of punctuation and manuscript. The Dwindlers are poet Michelle Seaman and bassist composer Benjamin Dauer. Their collaboration started in 2002 in Chicago and they now create their work in the southeastern US. 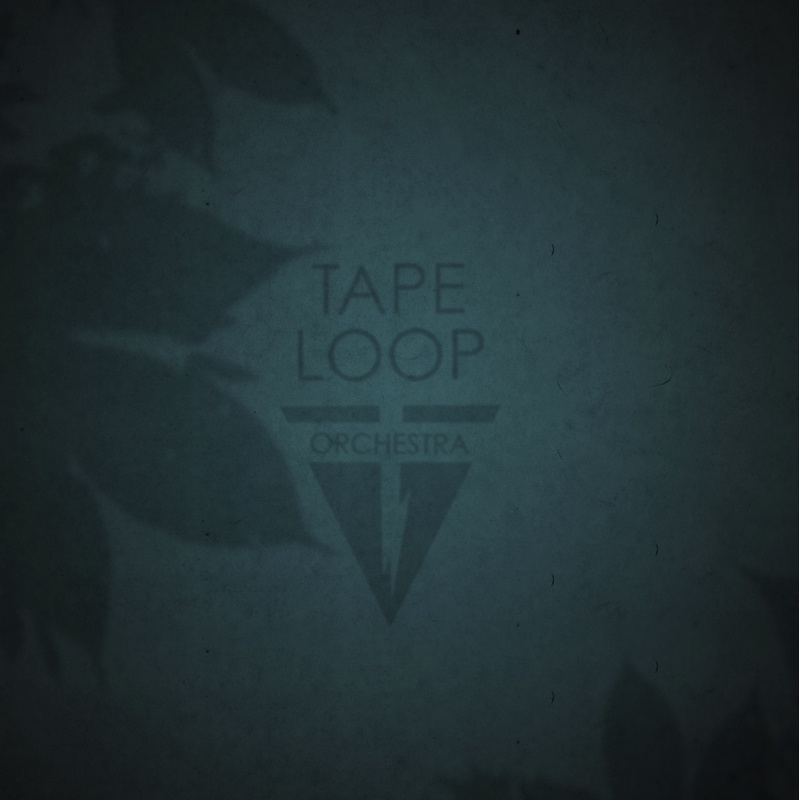 Their first album was the digitally released “Dreams” on the FeedbackLoop Label #FbL 008. 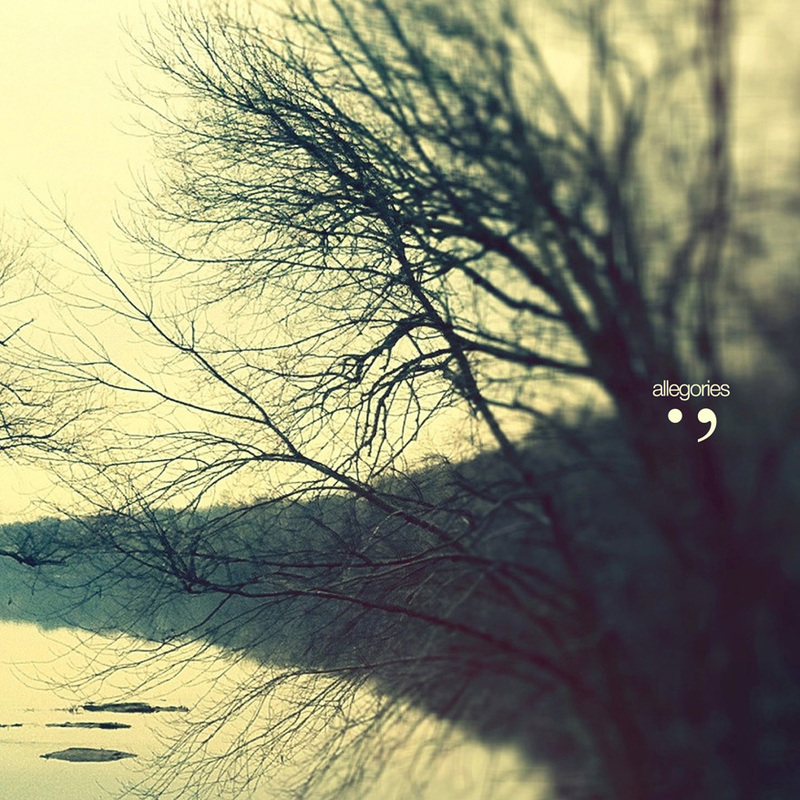 Allegories combines instrumental Jazz with poetry and includes printed poems (of tracks 1, 2, 3, 5, 6 and 7) with illustrations by Seaman and instrumentation (I assume) by Dauer. It’s a very interesting and challenging album and I find the approach to be quite refreshing! It is a relatively short recording, spanning between a long EP and a full-length CD. Subjects relate to fauna, instincts, desire, observations, phobias and inner monologues (without being self-indulgent). The printed poems appear to be a framework for the apparently improvised recorded performances (might there be further improvisations during a live performance?). As Jazz music is about listening, sharing, improvising, and responding, poetry can be used as another instrument or voice in an ensemble for counterpoint or support. Beat Generation writers expanded on this, like Jack Kerouac who was sometimes accompanied with improvised music during poetry readings (composer David Amram was known to sit-in and jam piano or bongos during readings). Jazz and Jazz Poetry has also been about activism and in the 1970s Gil Scott-Heron emerged (being influenced by Hughes) as a powerful voice in topical and confrontational spoken-word Soul, Jazz & Blues. Scott-Heron (also a rap music pioneer) greatly influenced later hip-hop groups like Public Enemy. Other artists have continued to explore the spoken-word with a variety of music and multi-media artists influences: Jim Morrison and The Doors (described as “electric poets”), Laurie Anderson, David Byrne, Harold Budd (as on his 1991 album By The Dawn’s Early Light), and more recently the 2011 collaboration of Brian Eno and poet Rick Holland on their album Drums Between The Bells, and the growling reflections of Leonard Cohen on his 2012 album Old Ideas. The voices of Allegories are sultry with occasional interplay of the technically descriptive. There are changing points of view and perspectives—seeing through another’s eyes (not necessarily human). The way the words are phrased against the music; they sometimes transform into layered double-entendres. The often-hypnotic and stark instrumentation punctuates the spaces between the words with a foundation of acoustic bass, layered electronics and percussion, adding to the tension and release. The Pelican and the Girl starts with a shimmering veil and then plays between female and male voices and further heightens an implied sexual tension as descriptions shift from bird to woman and back. There are points where the words lure one into an imagined scene only to be returned to a stark lesson on natural history. The drums and bass during Monkey are reminiscent of Morello & Wright’s vibe on Take Five (from the album Time Out) and voice, although monotone; is similar to the interplay of Desmond and Brubeck. Pickering’s Hyla is an instrumental break and sounds akin to a forest at the vernal pools at dusk. The second half of the album is more layered, electronic and ambient after a sensuous acoustic “theme and response” bass introduction to Widow, Daddy and the Wolf. Peacock and the Kitty and Dolphin gently pulse with Seaman’s voice stroking fur, feather and flowing through water. Allegories is a provocative and engaging album of poetry—vivid and shifting with very musical, alluring and technical Jazz counterpoint. The recording has a welcomed softness that does not compromise the clarity. It would certainly be suitable as background music (and would likely pique the curiosity of a roomful of listeners), but I found it best played at the level of a live performance to fully appreciate it.